DapeCon is an integral link in your cargo transportation chain. Headquartered in Linden, New Jersey, DapeCon is strategically positioned near the Port of New York and New Jersey, the nation’s largest container shipping center on the East Coast. We believe in investing in people. Our mid-size operation enables us to offer scalable services that cater to each client’s unique transportation logistics needs. As your dedicated dray resource, DapeCon provides personalized solutions to handle freight transfers between ocean ports and rail yards or warehouses. As lifers in this industry, we find the freight logistics sector fascinating. Our newest venture, DapeCon, is not motivated by profit but rather a sincere desire to develop an innovative business model that maximizes resources and minimizes errors. Since much of the establishment within the intermodal trucking industry is too slow to offer true innovation, we discovered a huge market demand for a company that is infused with technology, dependability and transparency. The driving force behind DapeCon’s success is our application of forward-thinking technology. By leveraging advanced techniques, we are able to drastically improve the efficiency and reduce the costs during every step of the terminal process. We value working efficiently as a team, retaining clients, lessening our environmental impact and using technology to achieve more than ever before. As DapeCon grows in the years to come, our goal is to become an icon for how an intermodal transport organization can achieve true value for clients by using the latest trucking equipment and automation tools. We are committed to responsible stewardship of the dray industry, serving as socially responsible pioneers as we redefine the meaning of efficiency and effectiveness. 8′ 5 ¾ 2,900 kg 6,393 lbs 76.0 cbm. 2,684 cu. ft. 29,600 kg 62,256 lbs. 7′ 5 ½” 3,084 kg 6,799 lbs. 67.3 cbm. 2,377 cu. ft. 27,397 kg 60,401 lbs. 7′ 7½” 2,330 kg 5,137 lbs. 28,390 kg 47,773 lbs. The intermodal industry has come a long way since the first dray horses pulled carts down a boardwalk transferring goods between docked boats. Yet, the trucking industry as a whole is extremely antiquated, lagging far behind other services in efficiency and effectiveness. The freight logistics industry is ripe to disrupt and ready for a new approach. DapeCon is determined to modernize the intermodal industry with our proprietary technology. By completely automating the shipping and billing processes and integrating electronic data interchange (EDI) and application program interfaces (API), we have set the new standard for accessibility, stability and full visibility. 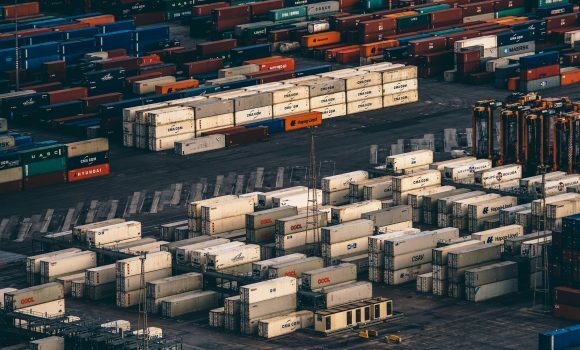 The number of moving variables involved in ocean container trucking logistics is staggering, yet few companies have embraced new methods that can streamline the process. Our technology-driven company has only one goal: to make life easier for our clients and shipping partners. We intend to create a transparent operation that increases value for shippers and multiplies earnings for drivers. We intend to pass along to our clients and employees the economies of scale and efficiencies gained from this restructured system. Our exclusive technology, developed by our IT partner, Architech, offers complete system integration, visibility, predictability and control by utilizing mobile tech and the power of the Cloud. This comprehensive transportation management system acts as a one-stop resource for in-house logistics and client relations. It can do everything from perform dispatch functions and track equipment to process orders and send alerts. The system achieves Intelligent Process Automation (IPA) through a combination of Robotic Process Automation (RPA) and A.I. It is our mission to always evolve our technology and improve our clients’ experience. We developed innovative intersystems communications tools and are actively staying up to snuff on the up and coming, the Distributed Public ledger. Blockchain Smart-Contracts offer ultra effective method to track bills of ladings and conduct transactions between carriers and freight stake-holders.. The result is a unique ability to maximize capacity utilization with smart route mapping and precise future event projection. It is a true predictive schedule planning, combining internal and external variables, resulting in logistically optimized supply chain. Ultimately delivering intrinsic business value and competitive advantage for our customers. An online portal and data-rich system give clients visible access to their precious cargo while it is in transit. You can trace a shipment by the minute with our real-time reporting tools during every step of the intermodal shipping process as it is being off-loaded, transported, on-boarded or delivered. You will know that schedules are being met, have a heads-up about potential problems and can always pinpoint the exact location of hazardous materials. The automation of electronic data interchange eliminates pickup and delivery errors by verifying the accuracy of all inbound and outbound cargo. A complete system integration reduces redundant data entry and allows clients, drivers and the terminals to have access to the real-time location of freight. Our machine-assisted dispatch system optimizes routes to ensure a timely operation. Integrated software provides clients and partners with customized reports generated from our data analytics. 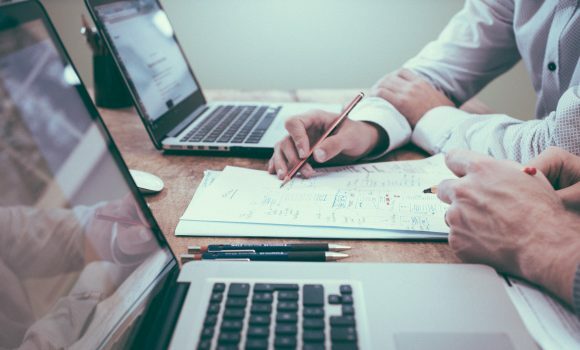 Our clients also benefit from an efficient electronic paperwork system that reduces the risk for clerical errors and streamlines bills of lading and electronic funds transfers for paying invoices. The integrated EDI and API gives us the ability to exchange documents with clients and shipping partners around the world in seconds. The security of the cargo that you entrust to us is our top priority. Overnight cargo storage is available at our controlled facility in New Jersey. Our gated container yard employs sophisticated surveillance equipment and requires multiple layers of checks to gain access. Every DapeCon truck, whether company owned or owner operated, is fully insured to protect against damage, loss or theft. Your digital data is protected using the latest IT security protocols and layers. DapeCon’s technological approach to the intermodal industry generates solutions to many of the system’s problem areas. Moving forward, we will continue developing and implementing smart initiatives that improve safety, address shrinking truck capacity, strengthen security and boost efficiency for our company and the intermodal industry. Based in Linden, New Jersey, DapeCon services the nation’s busiest container ports on the East Coast. 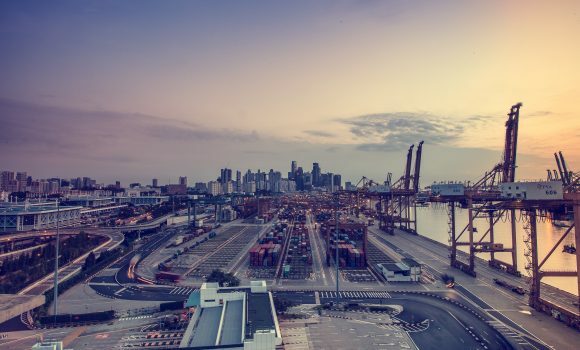 Conveniently positioned near the region’s major piers, rail terminals and highways, we have quick access to the supply chains that keep your cargo moving. 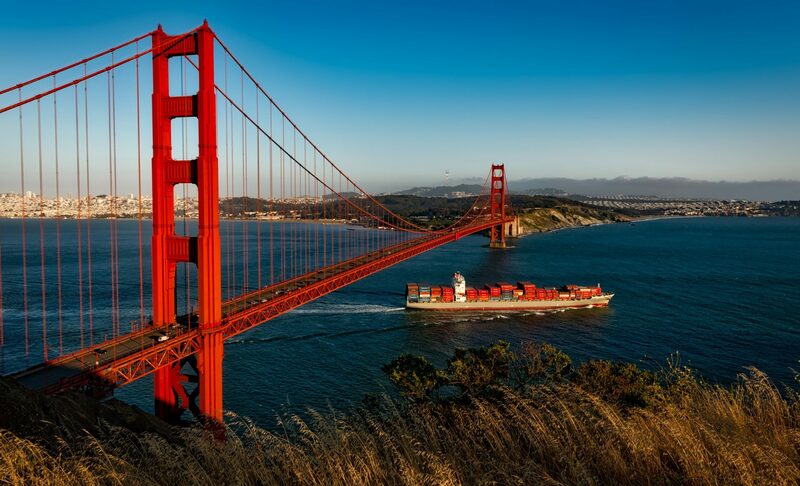 Servicing the ports of New Jersey, New York and Pennsylvania, our cargo forwarding trucks travel as far as Chicago, well beyond the typical 300-mile service area of most dray companies. DapeCon provides a full range of dray services, including specialized shipping options, to help clients reach their project goals and budgets. Our complete container transfer services allow customers to combine the value of transporting freight via ocean and rail. As the connecting link, we oversee the entire intermodal process from accepting the origin of shipment to delivering cargo to its final destination. Your dedicated driver will position the import container for easy unloading and then retrieve a full or empty container to return to the port. The driver waits at a location with the container as it is loaded/unloaded, secured and sealed for transport. 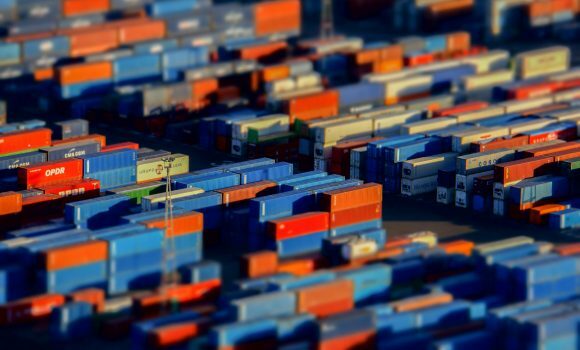 Our secure container yard facility is located nearby the Port of New York and New Jersey terminals. DapeCon is able to safely store your goods as they await transport. DapeCon’s experienced drivers hold endorsements to handle hazmat containers, ocean reefer containers, ISO tankers, open tops and flat racks. Our company-owned equipment means that we always have reliable access to the best-in-class tools to move your cargo. As a DapeCon client, you never pay leasing fees to third parties for ocean container trucking equipment. We have all the necessary equipment on hand to take care of your freight, including a chassis and flatbed trailers that can carry containers measuring 20 feet, 40 feet and 45 feet long. We are also equipped to transport ISO tankers carrying liquids for the food and chemical industries. Our modern trucks operate with the latest high-tech and energy-efficient tools and are regularly serviced so that we can distribute cargo in a timely manner. DapeCon is built on the belief that a technology focused company is best equipped to run an efficient, productive intermodal organization. We have developed proprietary tech tools that considerably improve the management process so that we can deliver reliable service and full visibility. 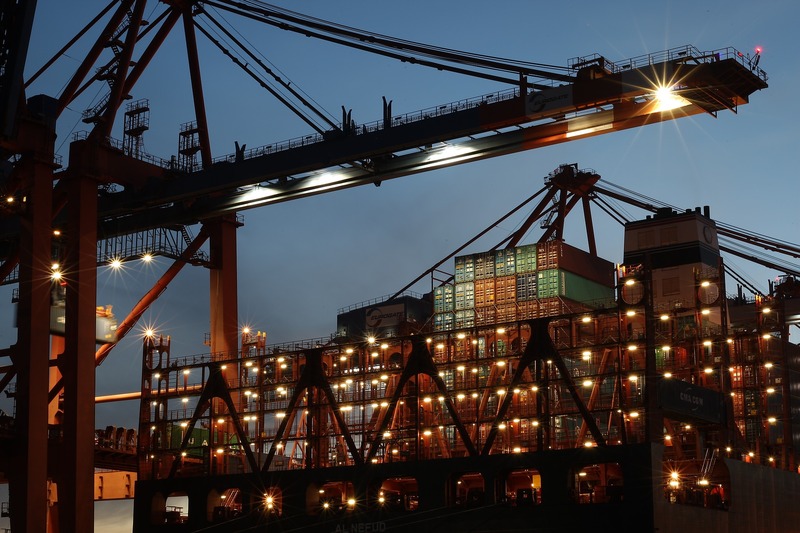 The online portal lets us quickly coordinate container pickups and drop-offs between drivers, ocean freighters, customs brokers and rail lines. The data-rich system also gives you real-time access to track your shipment, putting complete control of the delivery in your hands. 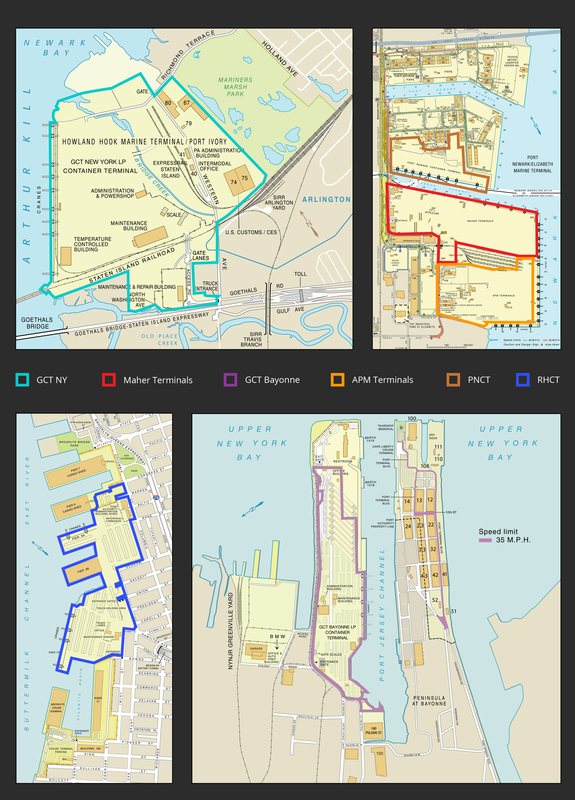 DapeCon currently employs 16 drivers who have deep knowledge of the New York and New Jersey container port terminals, rail ramps and intermodal corridors. As a bonded motor carrier, we guarantee that your cargo will always be treated with the industry’s highest standards for cargo handling and shipping. In the office, our logistics specialists work to streamline the complex segments of the intermodal process. We rely upon the strong partnerships that we have built in the industry to facilitate a seamless supply chain. Our goal is to solve specific challenges for our clients. With extensive experience that spans 25 years in the intermodal industry, we understand how to successfully navigate every segment of the logistics supply chain. You will work directly with a logistics expert to develop a dray plan that fulfills your company’s requirements while staying within your budget. Every client receives a customized shipping plan to ensure that they are paying competitive costs and receiving the fastest service even if they have a unique pickup and delivery schedule. 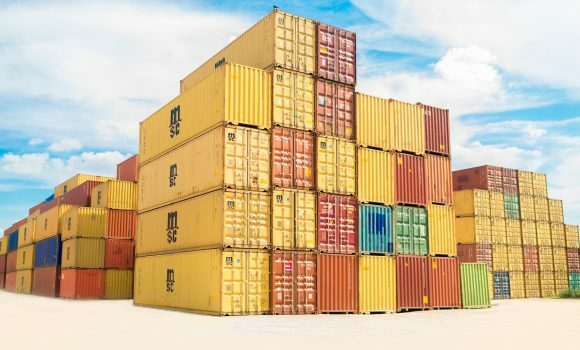 Contact a DapeCon intermodal logistics specialists, who will leverage their experience to find the best way to transport your containerized cargo to its final destination. One of our core values at DapeCon is to lessen our environmental footprint. The green practices that we have implemented support our efforts to offer sustainable logistics without compromising efficiency or affordability. Following the American Trucking Association’s lead for building a bold sustainability program, DapeCon uses the industry’s best practices for reducing our environmental impact. By utilizing modern trucks with new engines and highly efficient particulate filters and other high-tech equipment, we are able to minimize our carbon footprint. Each truck is serviced on a regular basis to ensure maximum efficiency. We also aspire to be a completely digital company. The capabilities of our platform’s secure electronic data exchange (EDI) and application program interfaces (API) completely eliminate the need for paper by allowing us to send shipping schedules, submit invoices and release real-time status updates instantly around the world. We believe it is good business and our duty as good citizens to be environmental stewards in the intermodal industry. DapeCon seeks partnerships with companies that are proactively investing efforts in reducing emissions at facilities and while transporting cargo. We want to be ahead of the increasing regulations for trucking companies and drivers. We are implementing strategies to minimize truck idling by reducing entrance and exit delays, improve driver productivity by making container information easily accessible and streamline the logistics process with new management techniques and technology. In recent years, environmentalists have turned their attention on the largely unregulated haulage industry in an effort to improve practices that diminish air quality. 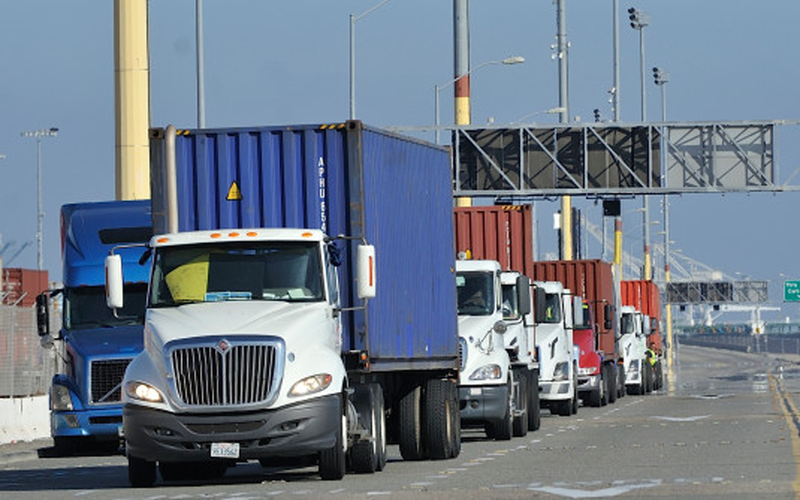 The Environmental Protection Agency (EPA) credits intermodal shipping with reducing greenhouse gas emissions by up to 65 percent compared to over-the-road (OTR) trucking when cargo travels more than 1,000 miles. Railroads also offer a safer alternative to transporting hazardous materials. 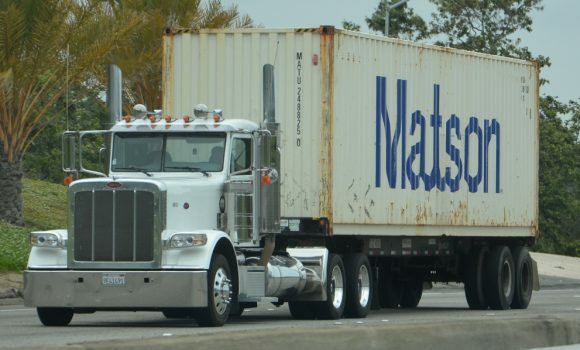 Long-haul trucks are 16 times more likely than railroads to release harmful hazmat materials, according to the Federal Railroad Association (FRA), resulting in a nearly 157 percent increase in fatalities. DapeCon drivers who hold their hazmat endorsement are professionally trained in properly handling and moving sensitive cargo throughout its journey. America’s roadways are clogged with traffic, accidents and an aging infrastructure. Millions of long-haul trucks traveling these roads unnecessarily overstress the already burdened systems. Inbound Logistics and Progressive Railroading report that just one intermodal train replaces 280 trucks on the road with its ability to carry 3,606 tons and support double-stacked containers. A single rail corridor running from New Orleans to Trenton, N.J., a project completed in 2012 for $2.5 billion, reduces highway traffic congestion costs by more than $575 million annually. Intermodal shipping is three times more fuel efficient than trucks because trains need far less diesel to move cargo. The FRA estimates that a simple shifting of 10 percent of long-haul truck cargo to rail can save 1 billion gallons of fuel each year. 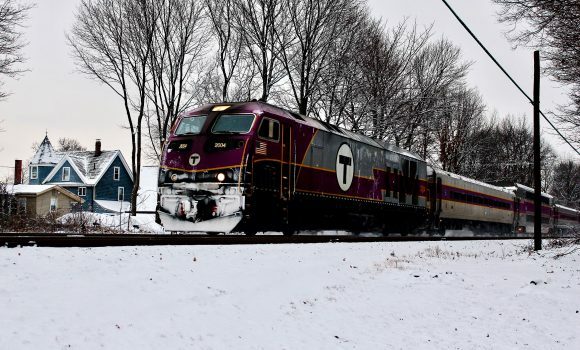 Using energy-efficient freight trains not only reduces energy consumption but also decreases air pollution.